Whether you’re pregnant or planning to become pregnant, it’s important to educate yourself about what steps to take to keep yourself and your baby healthy. From maintaining a healthy diet to creating a birth plan there are plenty of things to consider. To help you along the way, here are 5 tips for a healthy pregnancy. A birth plan is basically an outline of how you would like your labor and delivery experience to go. It includes things like who you want with you when you’re giving birth, whether or not you want an epidural, what to do if there are complications and other important factors. You should give this plan to your doctors and friends or family members that you want to be present. It’s a smart idea to take prenatal vitamins both when you’re trying to conceive and when you’re pregnant. They consist of a variety of vitamins and minerals like folic acid, calcium, and iron. Their main function is to cover any nutritional gaps in your diet and to help your baby develop in a healthy way. 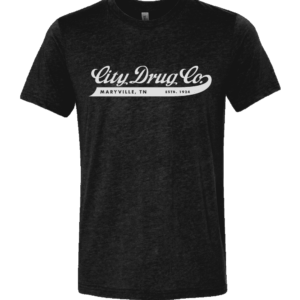 You can get them over the counter at most drug stores or from your doctor. It’s important to track how much weight you’re gaining over the course of your pregnancy to make sure that you’re at a good place for the trimester you’re in. Not gaining enough weight might cause developmental issues for your child and gaining too much will make it difficult to lose weight after you’ve giving birth. How much weight you gain also depends on whether you’re carrying a single child, twins, or in rarer cases, more than 2 children. Be sure to check in with your doctor regularly to ensure that you’re gaining weight at a healthy rate. Before beginning any exercise routine when you’re pregnant or continuing any routine when you enter a new trimester, you should first consult your doctor. Yoga, swimming and simply walking are all great ways to exercise when you’re pregnant. Staying active can improve your mood, help you to control your weight, and sleep better at night. It’s important to note that when people say you’re “eating for two” you’re not actually eating twice as much as you usually do. You should consume calcium and folate-rich foods to help your baby develop properly and prevent birth defects. Good sources of folate are leafy greens like spinach and romaine lettuce as well as beans and citrus fruits. Good sources of calcium include milk, yogurt, and other dairy products. You should also avoid raw or undercooked meats and poultry, unpasteurized food, and of course, alcohol, and cigarettes. We hope that these tips for a healthy pregnancy will help you to care for yourself and your baby. 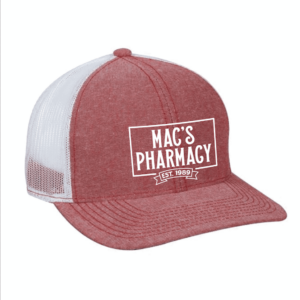 At Mac’s Pharmacy, we are dedicated to improving and maintaining your health and well-being, so be sure to learn more about how we can assist you with all of your healthcare needs!